Ancient Earth Globe allows you to see the Blue Planet at various points during its geological history. You can now see what the Earth looked like millions of years ago – thanks to an interactive map that lets you travel back in time. Ancient Earth Globe shows how the planet’s land mass broke off and re-formed over 600 million years. The map was built by former Google engineer Ian Webster using research from Northern Arizona University. 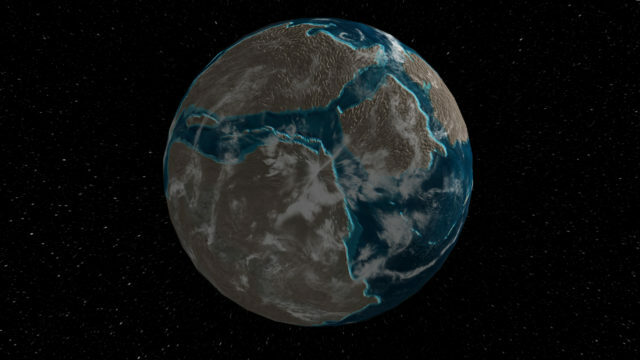 The site allows users to see what the Blue Planet may have looked like around during the Ediacaran period (around 600 million years ago), when life first started evolving in the sea. A drop-down menu at the top of the screen takes people to any given geological period – such as the extinction of the dinosaurs 65 million years ago to the appearance of the first hominids (the primate family that includes humans and our fossil ancestors) 35 million years later. There are short notes on each period that reveal what was happening at different stages, such as the Early Cambrian period 540 million years ago – when there was a dramatic explosion of ancient life (known as the Cambrian explosion) in the sea – or the Late Triassic period 200 million years ago – when dinosaurs started to emerge. 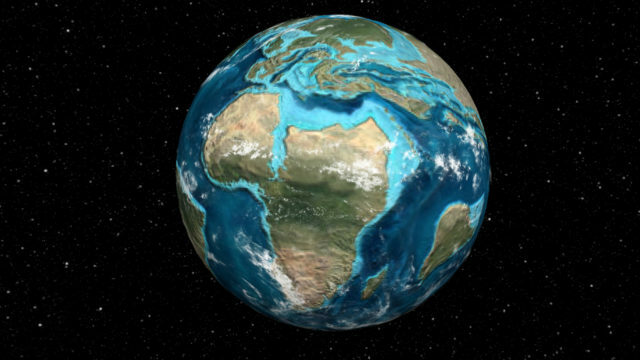 Geology enthusiasts can also see the formation of Pangea around 280 million years ago when most of the land mass was single supercontinent surrounded by one ocean called Panthalassa. There is also a second drop-down menu that lets users jump to a particularly significant event in Earth’s geological history such as the formation of the first coral reefs or when the first flowers started to emerge.